In 1993, Def Jam was still struggling through its dark creative and commercial period, badly in need of a hit record and $17 million in debt to distributor and partner Sony Music. 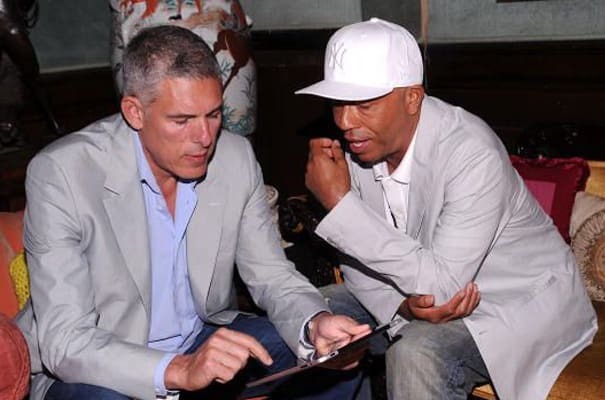 While Russell Simmons kept public perception of the brand positive with his Def Comedy Jam on HBO, Lyor Cohen’s wheeling and dealing landed Def Jam a second lease on life with Polygram, which purchased half of Def Jam in 1994 for $33 million, getting Simmons and Cohen out of hock and their company back in the black. Cohen assembled a team that, within five years, restored Def Jam to hip-hop supremacy and pushed Def Jam’s yearly billing into the neighborhood of $175 million. The outlandish sales of Def Jam product in 1998—including albums by DMX, Jay-Z, Method Man, Redman, and more—pushed the buyout price of Def Jam northward. Simmons and Cohen were able to sell the remaining 40 percent of Def Jam in 1999 for $135 million, with the total valuation of the company at $325 million. It was, at the time, the biggest sale of a hip-hop asset in history. Within a few years, Russell Simmons himself would eclipse that feat.